App Recap welcomes you to Monday. Our daily column that helps make sense of the latest iPhone, iPad and Mac apps, games and media on iTunes is back with tons of goodies, discounts, software news and more. We also feature a new Apple Pay television commercial by MasterCard featuring Gwen Stefani and a huge update to Paper by Fifty-Three while casting spotlight on a holiday-themed update to The Sims FreePlay and the latest Star Wars: Commander refresh that features Luke Skywalker and Darth Vader. Blink Keyboard 1.6 [Universal: Freemium] — Set keys with translucent effect in Theme Builder and choose a set of your desired languages. Also sports centre letters if not showing alt-characters, the default iOS keyboard theme to support dark theme and translucent background and French support, sans the next word suggestion. Bokeh Lens 1.3.4 [iPhone: $1] — UI bug fixes for iOS 8 and a fix for the bokeh image scaling issue on the iPhone 6 Plus. Clear 1.6.1 [Universal: $5] — This update fixes a couple of issues. The team has “a lot more to share” with you in 2015. Cross DJ 2.0.5 [Freemium; Paid: $6] — Now with a brand new UI with geometric shapes and clean textures, bigger EQs, larger pads, full display of artwork on the decks, 2 main colors, consistent with Mixvibes graphic identity, separate tabs (swipe to display a different tab on each deck), more accurate pitch-bend zone and a waveform view in the sync meter with pitch sliders for tempo control, pitch-bend mode for nudging and simple grid editing with double or halve BPM presets. Cut the Rope 2 1.3 [Universal: $3] — Meet Om Nom’s new friend Ginger and play through dozens of new levels in the Bakery. Disney Movies Anywhere 1.3.0 [Universal: FREE] — You can now use Google’s $35 Chromecast HDMI dongle to wirelessly stream all your favorite Disney movies to your big screen TV. Facebook 20.0 [Universal: FREE] — Graph Search is now rolling out to users on mobile with today’s update to the iOS client. Graph Search makes it fun and easy to resurface old posts or explore the world through the eyes of your friends by using natural-language queries like “My friends who live in New York”, “My friends who like Japanese food,” “Posts I commented on,” “Photos posted at LEX,” “Posts about Breaking Bad by my friends,” “Posts by my family about dogs” and so forth. Private posts from your friends and those you are not allowed to see won’t pop up in search results. Graph Search is currently being rolled out to US English users on the iPhone. 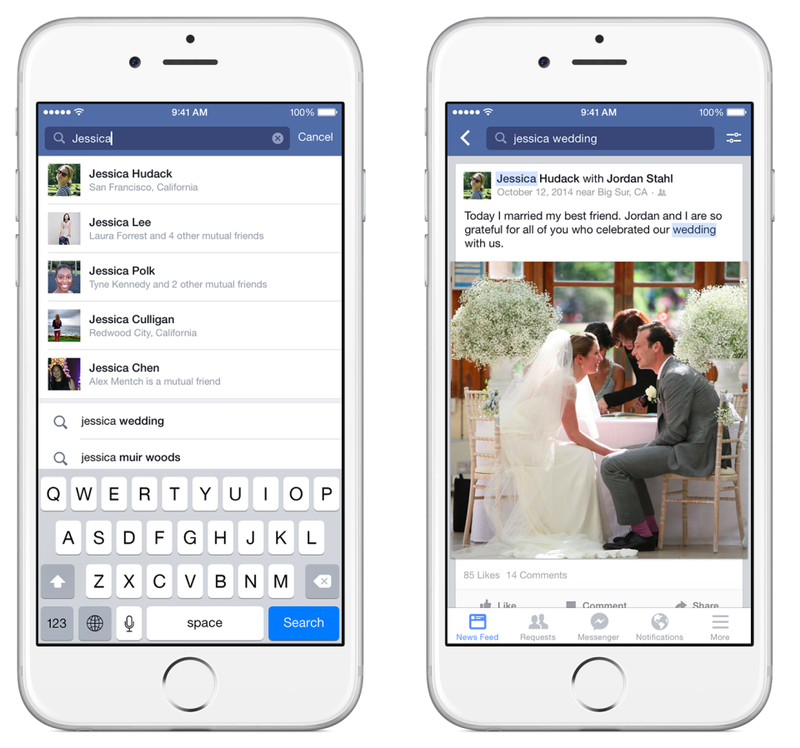 More about the feature can be read in our write-up, Facebook’s announcement post and over at search.fb.com. Fast Camera 6.99.3 [Universal: $5] — This version should finally fix all reported crashes. GarageBand 2.0.6 [Universal: FREE] — Stability improvements and bug fixes. Google Docs 1.1.6 [Universal: FREE] — Supports viewing and editing text in tables, has revamped accessibility support to use system standard text editing controls as well as enhancements to reading and editing when using Braille displays, better VoiceOver with Bluetooth keyboards and support for the iPhone 6 and iPhone 6 Plus screen resolutions. Google Maps 4.1.0 [Universal: FREE] — Bug fixes and automatic re-routing when a road closes along your original route. Google Sheets 1.1.5 [Universal: FREE] — The app has added enhanced support for the iPhone 6 and iPhone 6 Plus screen resolutions and contains bug fixes and performance improvements. Google Slides 1.0.5 [Universal: FREE] — You can now insert, move, resize and rotate textboxes, shapes and lines. Also, enhanced support for the iPhone 6 and iPhone 6 Plus screen resolutions and fixes and performance improvements. Heads Up! 2.3.9 [Universal: $1] — Game enhancements, updates and new decks. Goblins vs Gnomes expansion for Hearthstone: Heroes of Warcraft [Universal: FREE] — The first expansion pack for Blizzard’s card-battling game has arrived with 120 new mechanical-themed cards, including an all-new “Mech” minion type (both neutral and class-specific) that can be controlled with special weapons and volatile abilities. Get the new cards by spending your in-game coins at the same price as old expert packs. Last but not least, players can now craft new Goblin vs Gnomes cards. The expansion pack is only available in the U.S., with a release in other countries coming over the next day. More here. Hundreds 1.43 [Universal: $5] — The game now has full native support for the iPhone 6 and 6 Plus display sizes. Joy of Cooking [Universal: $7] — Includes a special Holiday Guide to inspire your cooking during December festivities. Machinarium 2.0.2 [Universal: $5] — This popular adventure game from the makers of Samorost and Botanicula added iOS 8 and iPhone 6 plus compatibility updates, pointer based controls and bug fixes. Monument Valley 2.2.2 [Universal: $3] — Apple’s iPad Game of the Year 2014 got refreshed with iOS 6 compatibility, general improvements and fast performance. Over 2.7.3 [Universal: Freemium] — This popular software for adding text and artwork to your photos now comes with three frosty fonts (Frontage Bulb by Juri Zaech, Selfie Black by Maximiliano R. Sproviero and Silver Regular by Emil Bertell) and four Festive Art Packs (Holiday, Christmas, Winter and Festivus). You can save 60 percent on these with the Winter Bundle In-App Purchase. Paper 2.2 [iPad: Freemium] — New features now available in Paper and Mix include Color Picker (sample colors from the canvas and save them to your palette), Swap Background Colors (drop a color on to the canvas and swap out background colors without losing your drawing), Global Search (find and follow anyone on Mix by name/email) and Connect with Friends on Tumblr, Twitter, Facebook and your Mix contacts list. The Sims FreePlay 5.10.0 [Universal: Freemium] — ‘Tis the season for adventure in The Sims FreePlay. You’ll enjoy daily presents under the Christmas tree, filled with Holiday décor to liven up your home. You can jump aboard Santa’s sleigh for a cool Christmas adventure in “The Great Xmas Mishap Quest” that will get unlocked on December 14. 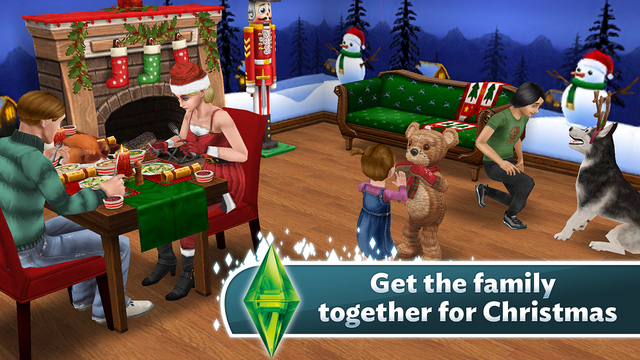 A new gift for your Sims family has been added, a Living Teddy, unlocked when you complete “The Great Xmas Mishap Quest”. You can also explore Santa’s workshop in the North Pole, wrap your Sims in festive spirit with Christmas outfits and throw Sim Town’s biggest party with everything you need to bring in the New Year with the Party Pack containing new decorations, wallpapers party hats and more (unlocked during the Resolution Solution Quest on December 28). Spotify Music 2.1.0 [Universal: FREE] — The Discover experience, which was recently revamped on the iPhone, is now available on the iPad, too. Star Walk 2 1.2.0 [Universal: $3] — One of Apple’s Apps for (RED), Star Walk 2 gained a new gallery for constellations, better models for some of the satellites and The Planets, a new feature available as a one-time $1 In-App Purchase upgrade. 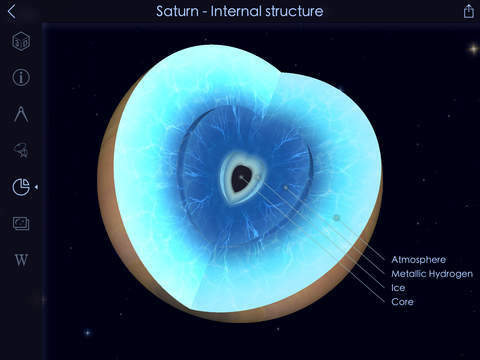 The Planets includes 3D models of the inner structure of the planets (you can zoom in and out, spin and explore the layers) with the names of the mountains, volcanos of Venus, craters on Mercury and so forth. You can read exclusive stories of exploratory missions and see the spacecraft models, objectives and results, real-time positions of active orbiting spacecrafts. Finally, there are high-resolution maps of Mars, Venus and the Moon. If you have purchased All-in-One pack, you can pick up The Planets update at no cost. As a bonus, Santa will be appearing in the sky nearing the holidays in Star Walk 2 so you can track his way along the ecliptic. 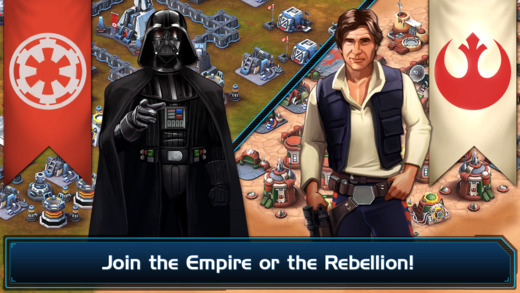 Star Wars: Commander 2.3.0 [Universal: Freemium] — You can now fight mercenaries on Er’Kit with Luke Skywalker (Rebellion) or Darth Vader (Empire) in Campaign #4 and recruit them to your faction when you reach HQ8. Deploy Luke and Vader in battle and use their special abilities to deal an extra blow to enemies. New units are available at HQ8: Jetpack Trooper and AT-TE (Rebel), Jump Trooper and AT-DP (Empire). Defense missions now have randomized enemy spawn directions—fortify your base and there are new opportunities to unlock rewards from past campaigns through the Event Store. Plus, many improvements and fixes. Storehouse 1.7.2 [Universal: FREE] — The visual storytelling app, now in Chinese. StumbleUpon 4.1.0 [Universal: FREE] — At last, the app has rolled out the iOS 8 extension allowing you to submit content using Safari’s Share menu or by copying the link to the clipboard and adding it directly to the app. Top Camera 4.9 [iPhone: $3] — Now with iOS 8 support. Transit App 3.3.1 [iPhone: FREE] — Now with Uber intergration in both the Nearby and Trip Planner views. View real-time ETAs for public transit and Uber side-by-side (swipe for options), see if Uber is surging right from its Nearby Cell, compare A-to-B journey times with estimated wait times, check out fares for Uber trips. Your first Uber ride up to $30 is free. Yelp 9.0.0 [Universal: FREE] — The team gave the Nearby & Friend feed a complete facelift on the iPhone, check it out. MasterCard and Gwen Stefani in Apple Pay ‘Priceless Surprises’ — MasterCard today rolled out a new 30-second TV commercial featuring musician Gwen Stefani and Apple Pay, promising new “Priceless Surprises” to cardholders paying with their MasterCard with Apple Pay. Surprises include everything from handbags and golf experiences to concert tickets, and even a chance to hang out with Gwen Stefani herself. The spot features Stefani’s new single, “Spark The Fire”. 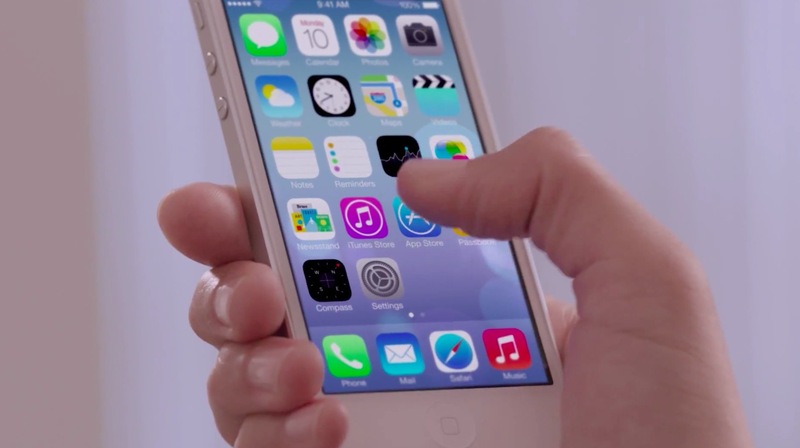 MasterCard previously featured Apple Pay in “Priceless Surprises” TV ads. We’ll be adding more items to App Recap throughout the day so make sure to revisit the article after lunch and before nap time for additional not-to-be-missed deals, discounts and new arrivals. As always, you’re more than welcome to send us your App Recap submissions, suggesting and thoughts to tips@iDownloadBlog.com.